Your donation will help us bring this project to life. It’ll pay for our equipment, crew, food on set, locations, overall costs to shoot during our dates. Your donation to this fiscally sponsored project is 100% tax-deductible as allowed by law. Review our story line below. Gramercy follows Shaq, a young New Jersey native, as he’s forced to confront truths about his past and search for peace amongst fantasies as he struggles with ever-intensifying grief and depression. Over the course of a weekend back home, Shaq’s psychological journey turns into a vivid exploration of systemic complexities, as he tries to make sense of surviving as a black man while maintaining his day-to-day realities through his thoughts, memories, and friendships. Seemingly everyday events filtered through Shaq’s state of mind leave him questioning concepts and ideologies beyond himself. Shaq’s weekend concludes with an epilogue — where his internal and external struggles come to a head at a gas station during a strange, dream-like interaction with a homeless man. Through the point of view of Shaq’s conscious and subconscious, Gramercy is an exploration of the intersections, and lack thereof, between experience and emotion. Weeks after the Philando Castile and Alton Sterling shootings, Jamil began trying to make sense of a question sewn into the fabric of America. Answers weren’t adding up. He couldn’t verbalize the pain but felt it looming over everything. It was past anger, past grief. There was no space for language. These acts of violence were, and continue to be, another piece in a larger, more complicated puzzle. Depression, anxiety, and suicide are realities that have been on the rise throughout America. Suicide is the third leading cause of death amongst 15-24-year-olds within the African American community. Studies show that African Americans are 20% more likely to experience serious mental health issues than any other race but are also less likely to be treated. Aside from the normal stresses of life, layers of systemic and generational trauma African Americans experience in their daily lives has shown to facilitate causes of depression, including accounts of racism, marginalization, and micro-aggressions. When paired that with socioeconomic factors, cultural biases, and care inequality, the thought of seeking help can seem insurmountable. In order to normalize the conversations around mental health, stories need to be told. When we examined many of the notable films that explore blackness, we noticed it had been done mostly through the lens of class struggle. While that perspective is necessary, it’s not the only one. In 2014, Piscataway, New Jersey was ranked as the 27th best place to live in America by TIME Magazine. When we visited the town, we were struck by how comfortable everything seemed. Exactly what we imagine when thinking about middle-class American suburbia. Sleepy, curated, pleasant. 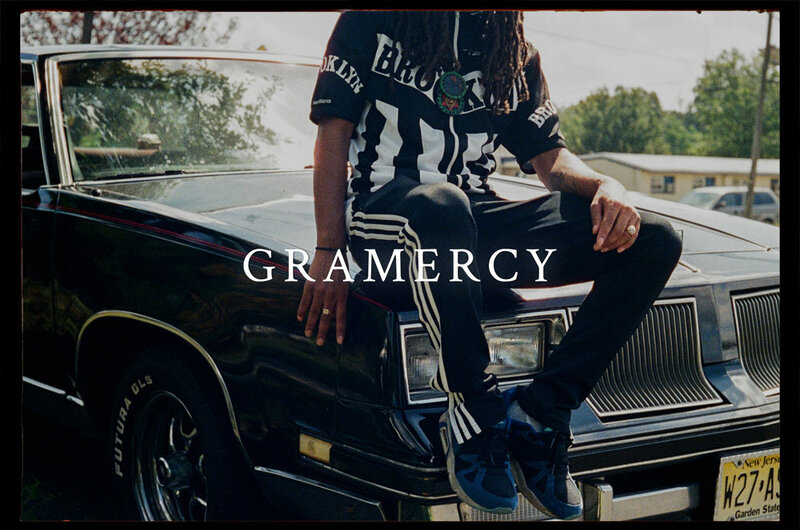 Sitting in a corner of this suburb was this group of young black men who had created their own culture, their own identity, their own brotherhood that felt so tangible and lived in that they called Gramercy. We began developing this film because we knew we could push the boundaries with this world and these specific characters that we had discovered. One of our biggest priorities with this project is to give voice to the nuanced, fully-realized lives of within the black experience, including first-generation Nigerian-American, Jamaican, and Muslim, amongst others. We feel it is important to showcase the complexity and array of origins and not categorize each character into a pool as, simply, “black.” We want this film to be the beginning in changing the way we think and perceive the black experience. We are searching for, and will hopefully discover, moment-to-moment truth and empathy. Because we are examining complicated, language-transcending complexities, we don’t want to take a conventional storytelling approach. We are setting out to create an original cinematic language through non-linear structure and point of view. Gramercy is a short film that we’ve co-written and, with your help, will co-direct. The film will serve as a stand-alone, independently-produced short film, as well as our directing roadmap and proof-of-concept for an eventual feature film adaptation. This is a story of one young black man’s struggle in dealing with grief and depression, and we feel it a vital one to tell. Jamil McGinnis and Pat Heywood are a filmmaking team based in Brooklyn, New York. Their work has been featured on PBS, NOWNESS, TIDAL, NPR, NoBudge, Booooooom, Blavity, Medium, Button Poetry, Poets & Writers, Shots, Poetry Foundation, and screened as official selections of the New Orleans Film Festival, Rhode Island International Film Festival, Brooklyn Film Festival, New Hampshire Film Festival, Middlebury New Filmmaker Festival, African Film Festival at the Lincoln Center, and the Walker Arts Center in Minneapolis. Jamil is a Turkish and African American filmmaker and photographer originally from Kaiserslautern, Germany. Upon graduating business school from Florida A&M University and a couple of Wall Street stockbroker gigs later, Jamil jumped to the advertising and film industry. He started out at Saatchi & Saatchi before moving to Droga5, where he spent two years working as a film producer. His most recent photography work has been showcased during the opening night of the Lucie Foundation’s Month of Photography LA at ARENA 1 Gallery in Santa Monica, CA. Pat grew up in Fall River, Massachusetts as a self-professed cinephile. He is a graduate of Emerson College, where he was nominated to the prestigious Writers Guild of America East Mentorship Program. Upon graduating, he began working at the production company SMUGGLER. During his four years at the company, he worked on projects for a roster of world-class directors, including Kathryn Bigelow, Barry Jenkins, Tom Hooper, Bennett Miller, Miles Jay, Todd Field, Susanne Bier, and Chris Smith. After graduating from the University of Massachusetts, Amherst in 1993 with a degree in Film Studies, Maceo moved to New York City. One of his first jobs was as assistant to award-winning director Earle Sebastian with whom he worked for two years on a documentary about Marvin Gaye. Shifting gears, Maceo spent the next eight years as an Assistant Cameraman. In 2003, Maceo began camera operating and by the beginning of 2004 had purchased a Steadicam. Over the course of the next fourteen years, he maintained a reputation as one of the most sought-after camera operators in the film industry. Maceo shot a diverse array of projects around the world for directors such as Martin Scorsese, Steven Spielberg, Spike Lee, Gus Van Sant, The Coen Brothers, Oliver Stone, Sam Mendes, Steve McQueen, the Safdie Brothers, and Cary Fukunaga, to name a few. He’s worked under some of the greatest Directors of Photography in the history of the medium, including Roger Deakins, Rodrigo Prieto, Bradford Young, Darius Khondji, Ellen Kuras, Bruno Delbonnel, and Jody Lee Lipes. In 2017, Maceo began shifting focusing to his career as a Director of Photography. His credits include Black America Again (Dir. Bradford Young), a number of high-profile music videos, and lead second unit photography for films like Extremely Loud and Incredibly Close (Dir. Stephen Daldry), Thank You For Your Service (Dir. Richard Linklater), and Molly’s Game (Dir. Aaron Sorkin). Myriam is an award-winning producer whose “worked with” includes Revlon, IFC Films, LG, Nordstrom, IMG, Estee Lauder and Sundance Institute. She produced the acclaimed film The Light of the Moon, which went on to win the Narrative Feature Audience Award at the 2018 SXSW Film Festival. Additionally, she’s produced a number of independent narrative shorts, as well as scripted music-related content for Warner Bros and Def Jam. Prior to producing, she worked as a content editor and marketer for Amazon. She currently works for Beachside Films as an Executive Producer, pitching and managing features and television pilots for platforms such as Netflix and Hulu. She is a graduate of Northwestern University and based in Brooklyn, NY. Claire McGirr is a creative producer with extensive experience in production, post-production and development. She is based between Los Angeles and New York. Claire conceptualized and executive produced "Dear Mr. President", the multi-award-winning eighth season of Motionpoems. 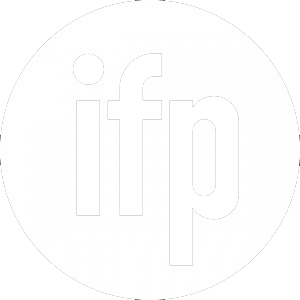 As part of the project, she sourced and curated 12 international directors, whose films have been screened variously at 1.4 Awards, Aesthetica Film Festival, BFI London Film Festival, Cannes Film Festival, Galway Film Fleadh, the Hammer Museum LA, Hollywood Shorts, Raindance, Sydney Design Festival, Vancouver Film Festival, the V&A in London, and have featured on 1.4, Afro Punk, Boooooom, Booth, Director's Notes, Free the Bid, Girls in Film, Little Black Book, Moving Poems, Nowness, Shoot Online, Shots and Vimeo's Staff Pick. Claire's background is in commercial production. She served as Associate Producer for 5 years at renowned production company SMUGGLER Inc., where she worked with some of the industry’s top directors. SMUGGLER Inc. has won the elusive Cannes Palm D’Or four times and has been recognized three times as Production Company of the Year by AdAge. Gabija Blake is a native New Yorker, but she doesn’t have the accent to back it up. 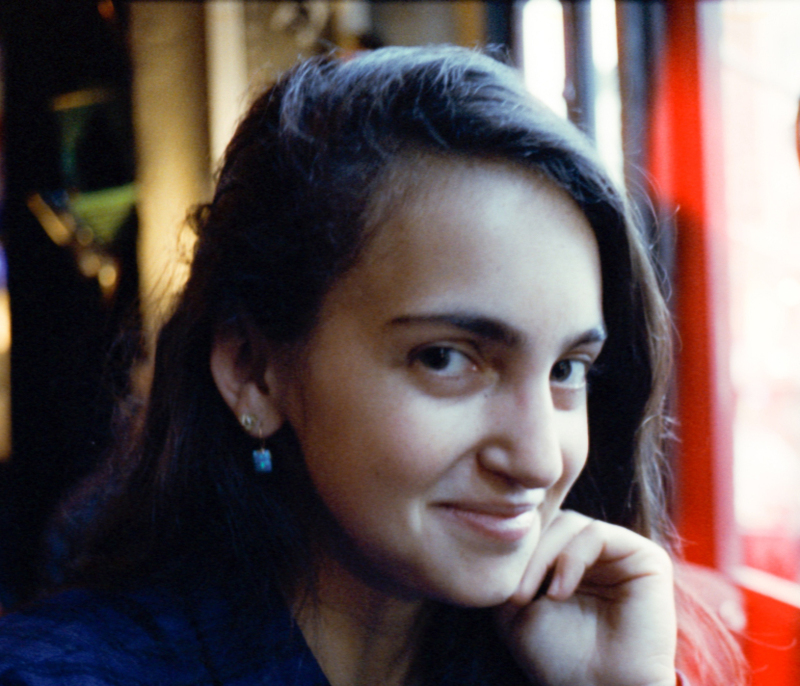 After graduating with an English degree from the University of Chicago, Gabija moved back home and started dreaming of ways to turn her written stories into films. She’s found a home at Droga5 and is currently producing TV campaigns for clients such as the New York Times, New Museum and the YMCA. Her previous projects include the Webby-winning “Tree VR,” which premiered at Sundance New Frontier and screened at the Tribeca Film Festival, as well as a production stint with NYC-based comedy group Local Empire. Their short film, “The Refrigerator,” premiered at the Brooklyn Film Festival, and their feature-length “Trivia Night” won Best Feature at the Omaha Film Festival. Raised in New Orleans, Cheyenne has an appreciation for improvisation and a fascination with the ways cultures mix and meet to form new celebrations. 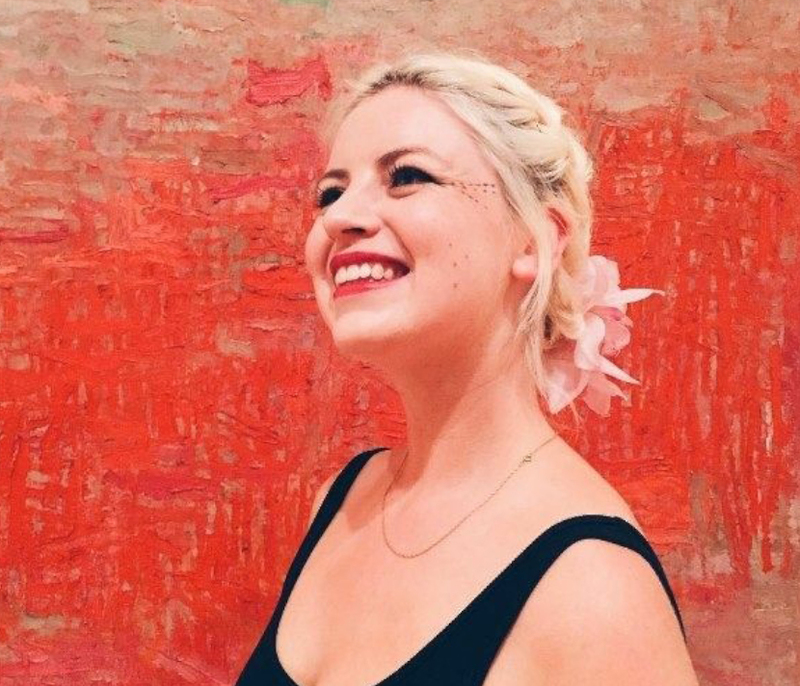 As an Art Director, she’s worked on projects including JAY-Z’s “Smile” (Prod. Designer Akin McKenzie; Grand Prix winner at Cannes Lions Festival), To Dust (a feature film that premiered at the 2018 Tribeca Film Festival). 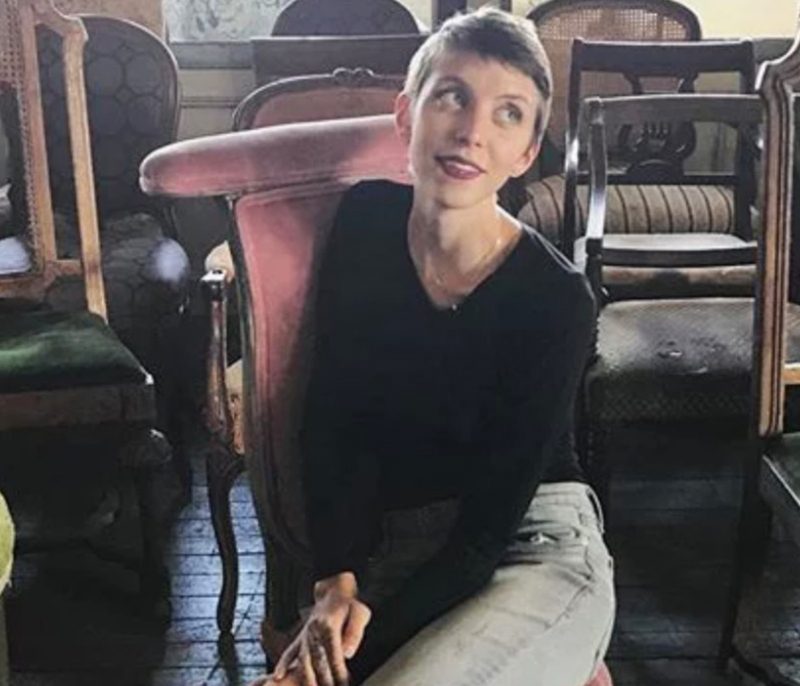 She worked as the Prop Master on After the Wedding (a feature film that was a Day One World Premiere at the 2019 Sundance Film Festival), as well as the Assistant Set Decorator on The Wolf Hour (feature film; Sundance 2019 NEXT World Premiere). She is part of the United Scenic Artists Local 829, covering art directors and production designers in New York, Studio Mechanics Local 478, covering all set decoration and property positions with jurisdiction in Louisiana, Southern Mississippi, and Mobile, and Studio Mechanics Local 52 as a permitted guest in the New York jurisdiction for all set decoration and property positions.